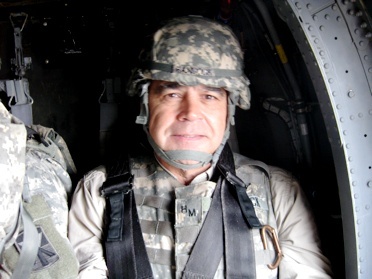 Hancock Management LLC provides program management and logistic support to US Army TACOM for the drawdown of forces in Iraq. Rick Hancock enroute via UH-60 to forward operating base. 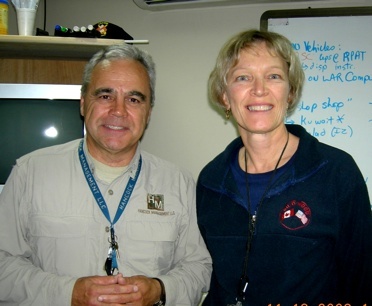 Rick Hancock confers with Laurie Austin, the TACOM Senior Command Representative, on the retrograde of TACOM managed "Force Provider" equipment at Baghdad, Iraq. 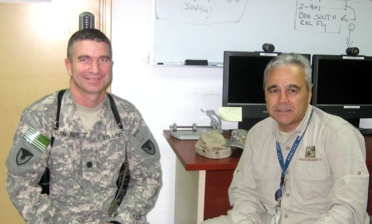 Rick Hancock discusses retrograde planning with LTC Van Ripper, S-3 for the 402nd Army Field Support Brigade (AFSB). It's a dry heat, except today. 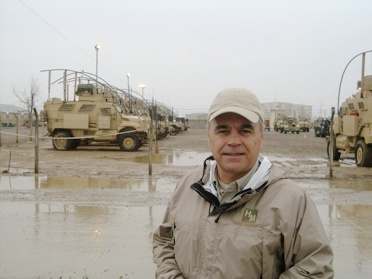 Rick Hancock at motor pool with TACOM vehicles.